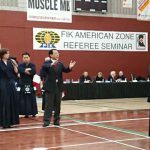 FIK American Zone Kendo Referee Seminar was held on Jan 24 and 25, 2015 at Boy’s Girls’s Club in Las Vegas in USA. 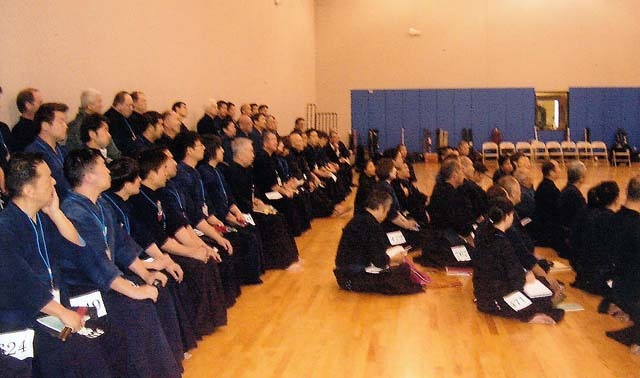 In total 77 trainees from Brazil, U.S.A., Canada and Hawaii were participated to the seminar. On Jan. 24 (Sat. 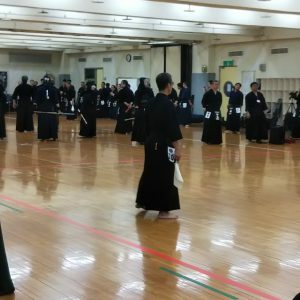 ), after the opening speech by Tagawa president of USA, all participants prayed in silent for US Kendo-ka who is recently passed away Mr Ichiro Murakami former president of AUSKF, Chief Instructor Murakami sensei explained about the important points of this seminar. 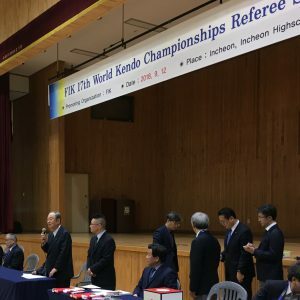 Particularly, the object of judgment, duty, rules of refereeing and Yuko-datotsu were explained.